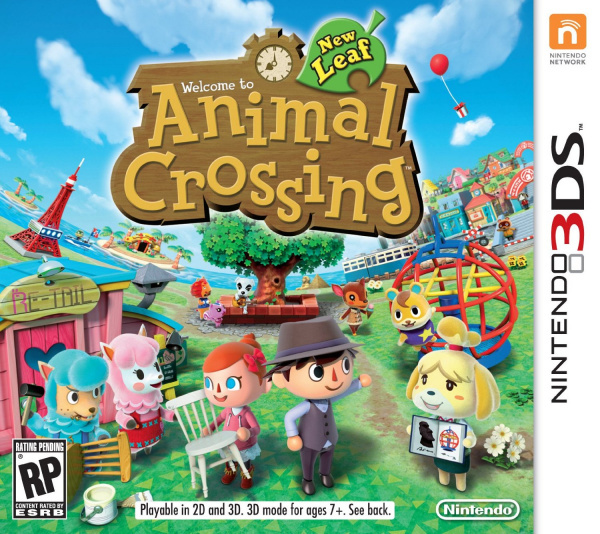 Packed with new animals, new experiences and new ways to have fun, both long-time fans of Animal Crossing and newcomers to the series are sure to enjoy everything that Animal Crossing: New Leaf has to offer. It's a new life... live it how you please! Play your way – enjoy in-game life in real-time with no constraints on how you spend it! Make friends with lots of new characters and experience new events throughout the year! Play with friends either locally or online, meet other people via StreetPass or visit new towns over the Internet. Don't swear please - mod team. If it plays like the old ones then I'm not interested. There needs to be something significantly new otherwise I'm playing the same game again. Still a good game though. I hope they do something new with this one. Edit: This looks great. I will get this for sure! 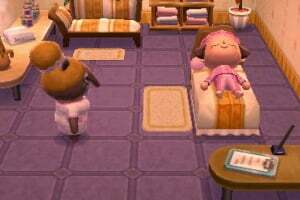 I love animal crossing but im a compleatest I try to get 100% in every game and its hard to do that with 4 AC games and all the others I have I wish I could Play 3 games at once. Dan what the heck happened to tortimer? i hope hes ok hes my favorite charecter. 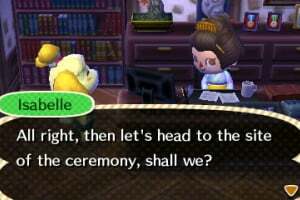 Cant wait to be the mayor of my town! I dont Want FC's in this one,Wi-fi Lobby Anyone? |sf>I just noticed that the second picture shows a bench and a street lamp in the backdrop while the human stands outdoors. 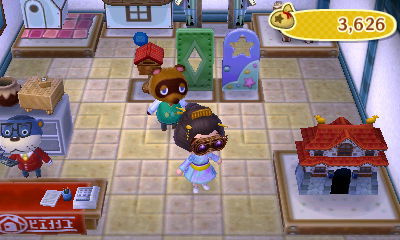 I wonder if those are randomly placed objects or if they're movable, ala purchased at Nook's or Red's shop. Considering how long the other games in the series took to reach North America, I suspect that this title won't be out in time for the machine's launch. If they spice up this game and do some different things then fish, catch bugs, decorate your house, and pay off your house then i would be sold on buying this game. Anyways, I really hope Nintendo will re-add some classic games in there, like NES or SNES games. Its been missing for far too long. 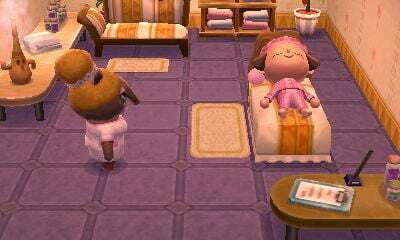 How good is animal crossing anyway....I've never play it before. Maybe Actually, It Depends How Much Change There Is. They Should Make A Park And I heard About The Mayor. AND A RESTUARANT Where You Can Meet People From All Around TheWorld! And they should ask what city your from and connect it exactly to what weather it is! and there should be a news channel about the latest in ac. This'll be the first game that I buy. I need a job, i need this when it comes out! Hm.. Yes, this will definitely be on my 'to-get' list. ... That, and OoT: 3DS and Mario Kart! Awesome! The first time I played Animal Crossing my cousin gave it to me. I fell in love with the laid-back gameplay. must get! sweet! 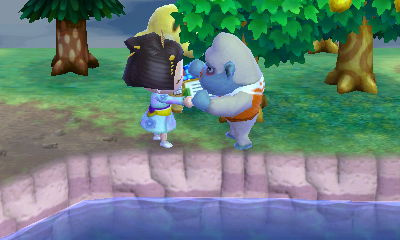 a animal crossing for 3ds! i love animal crossing! i have all the animal crossing games! @38: No one said that having them in 3D was going to be pretty. But I'll let it slide. I'm a huge fan of this game~!! @blueboom: i think there should be bigger houses and i think it would be cool if the town got bigger but i dont know to much about this game. 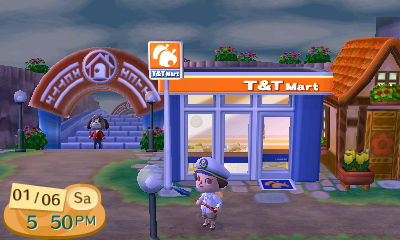 Im So Exeited To Get It Because I Got My 3DS Today With Monkey ball 3D So im exeited for animal crossing! Can't wait! hopefully there's more content available. Can't expect much though. . . I wonder if you can go to more then one city. I hope that you can design houses or stuff like that. Really looking forward to this game! I hope there will be more stuff to do this time around. I'm gonna have to get used to the taller character style though. According to Gamestop, this will arrive in the beginning of August...can't wait!!! This game is the REASON why I wanted the 3DS lol! I got the 3DS for this game, and I just saw another trailer for it. I'm so excited! Yeah I think that. I was watching an E3 clip and they said they don't even have the release date even though they have a release date for super mario 3d and mario kart. O_o But they did say it is coming out before 2012 so i'll keep my fingers crossed. But you are right most people don't trust gamestop and I've seen some huge delays with their timing. New furniture, fertilizer to restore the grass, maybe offered in regular-silver-and gold for varying degrees of effectiveness. Patterns not limited to palettes or less limited. More Pattern pocket storage so you can put down in town and store more. Each room has it's own storage compartments for dressers so upgrades gets you more storage. Mail storage with labels. Townies can wear hats. I could go on but I'll stop there. How many of these things do you think they've included in the new game? I've never even played Animal Crossing, didn't realize how much of a hype it had. I have to try this one out on my 3DS. I might get this since I've never played an Animal Crossing game. 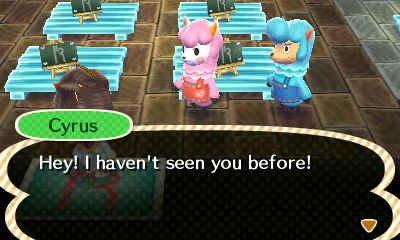 Well, AC (Animal Crossing) didn't come at the beginning of this month. I think GameStop is just making wrong guesses. I looked at a release date sheet in there last month, and AC's (US) release date was sometime around Christmas and Thanksgiving. Don't get your hopes up, though. I think this game will get a 2012 release. @Shadow100: You should get an AC game! They're a lot of fun and laid-back when you want something like that. You see, AC games are a lot like real life. You have a house and can decorate it with furniture, you can talk to your neighbors (who are animals) you can listen to the musician K.K. Slider (a dog) and get CDs from him to play in stereos, there's a whole lot more to explain, and I can't explain it all. 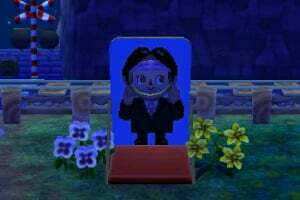 I'd recommend getting AC:CF (Animal Crossing: City Folk) for the Wii. It's got a few new features that weren't in the other two (Animal Crossing: Wild World for DS and Animal Crossing for Gamecube, not 3DS). It also has Wi-Fi, which you can use to visit other towns that other people from around the world live in. 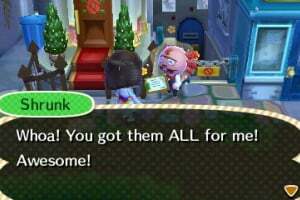 You just give them your AC:CF Friend Code, and they give you theirs and you can travel through the Town Gate to get to their town (note that this was in Wild Word, too). Anyway, check out some videos and see what you think of each AC game. I hope you like the AC series! My most anticipated game of 2012. For real. Does anyone know when Animal Crossing come out? No specific date or idea of timing yet, but it will be released in 2012. I really want to know what new things are included with this version. Yes, you swim for some reason, but please further clue us in NintendoGods... Hey wait. That's not a bad idea for a game. NintendoGods! Make it happen! seriously, wtf. wasnt this supposed to be a release game? No, it was never announced for release — AC has never launched with a Nintendo console. Good things come to those who wait! Hey did anyone notice that there are no bugs on the trees, and do you think they are still going to add bugs later on? Oh i think i missed that part of the video, thanks James. just watched the trailer again.......does anyone know where you can swin to. The trailer shows the person being able to dive under water......does anyone know what this is for? Could it be fishing? 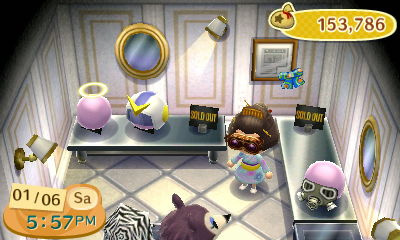 im getting this im a huge ac Fan! Something tells me that Nintendo will showcase all the new trailers at the CES and if not people are going to bug the crap out if them. So the third of Jan is out.......anyone got any idea when the next posible date is? i wonder when its coming out,i cant wait!!!! 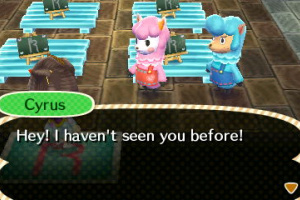 Never played an Animal crossing game. Maybe this will be my first. i'm not sure cuz they hav cahnged the shape of the characters bodies and stuff. I'm pretty sure the Official Nintendo Magazine [Europe's Nintendo Magazine] said it would come this summer. So that would mean May - September 2012 for all regions. I can't wait to get this game! I hope the guesses are correct (the guesses for a summer realease). If you didn't played An Animal Crossing before, you should try it. It is great! XD This is a very funny game. It can relax you. Like I said, ICAN'T WAIT!!! XD I already played ACCF and luv the series! 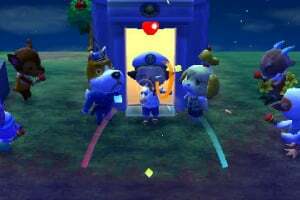 me+wanting this game+never playing animal crossing=come out!come out!come out! Does anyone have any idea for release dates? Wait for e3 it is coming soon. As for now all we know is Summer 2012. I think in November/December 2012 like CF in 2008! i hear there will be new spots such as malls n cafe and stufff is this true? Well I gave in and just ordered AC: City Folk for Wii on Amazon.ca. 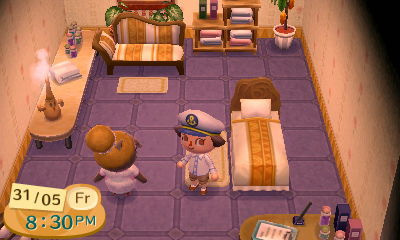 It will let me learn what an AC game is and keep me busy till the 3DS one is out. I hope they make an announcement for this at E3. I have 3DS games with great graphics like RE: Revelation, Mario Land 3D and Mario Kart 7 but this one seems so colorfull and pretty in it's own way that you just want to dive right in! I just want this game to come out already, i have been waiting since august last year......at this rate i will have waited a whole year!!! It's been killing me ever since I heard about it! Some say for the US it was supposed to come out on May 2nd, but it did not. Others say this summer, or next spring, but we will have to wait and see. But like many others I believe it will come out this fall, because past ANIMAL CROSSING games have all been released in the fall. Also it will be ANIMAL CROSSING's 10th year anniversary, so why not. Hope this helps!!!!!!!! @pixelman HOW NOT!!! THATS INSANE!!!!!!!!!!!!!!!!!!!!!!!!!!!!!!!!!!!!!!!!!!!!!!!!!!!!!!!!!!!!!!! Please E3 now tommorow anytime! GAHH!!! I'm still waiting for this game!! It's the game I'm most excited for and the major reason I bought a 3DS!!! I'm hoping we see it at the 3DS conference!!!! Will it be at e3???????? If not expect rage everywhere. I DESPERATLEY hope they say when it is coming out at e3!!!!!!!!!!!!!!!!!!!!!!!!!!!!!!! Game Stop makes up fake dates just so they can take preorders. Never trust them for dates, especially if they're not backed up anywhere else. Rumors are flying that this comes out August 2, 2012. Could it really be true? Why did they not even mention this game at E3? Could it be because it's already finished & ready to ship to stores - somewhere?? I really want this game! I've got all the other ones, and I want to add to the collection! E3 was a real letdown though considering I didn't hear anything about this game! I may just have to rage-quit if Nintendo doesn't give any new info! Arr! I'm gonna rant some now! I loved Animal Crossing on Gamecube, and I bought the DS version but couldn't play it, because it was so similar. I'd already seen it. I've been playing Animal Crossing since the one for Game Cube came out. I'm really looking forward to this one. Has Nintendo announced a release date? French Amazon hinted at Sept. 28 but as I was told, that's just a rumor. according to nintendo direct animal crossing is scheduled to be released in 2013 beacause nintendo wants to make it perfect. There are some major differences, you're the mayor! Gamestops dates are ALWAYS wrong (Unless specified as confirmed). Don't expect it that late. Here is my guess using Japan and EU and NA's TBD periods when they will come out. I love my ACWW . Unlike some folks I use it to help myself get to sleep...not that is is boring but that is for me soothing. I'm too excited for it, even if it is going to be the best one as Nintendo promised I want them to take time in developing it to bring us a new fresh one in the series. 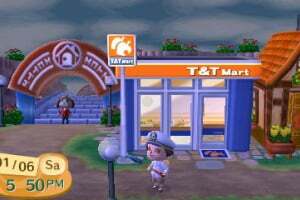 Does anyone know The new animal crossing is for 3ds but can it also come on just the regular ds lites??? 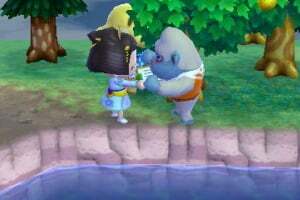 Doesn't Nintendo realize that every day they wait to release Animal Crossing 3DS is another day they won't make money on selling it?? Have you seen the trailer you start in a tent (which you can trade in for a house later in the game), you can swim and there is a number of events (15 and up), characters, tools, furniture pieces, various clothing parts and cool ways to travel. It looks so cool, I can't wait!!!!! BECAUSE IT HASN'T COME OUT YET!!!!!!!!!!!!!!!!!!!!!!!!!!!!!!!! OH GOD..... It better come out early 2013 or I'll freak out. 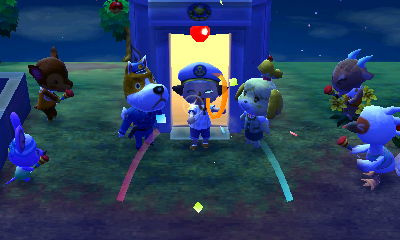 I found out a couple weeks ago that Animal Crossing 3DS, will come out DECEMBER 31, 2012!!!!!!! In the USA!!!!!!!!!!!!!!!!!!!!!!!!!!!!!!!!! Where ever did they get that ''Jump out'' subtitle? not coming out soon enough. ANIMAL CROSSING,WHY U NO COME OUT SOONER?! 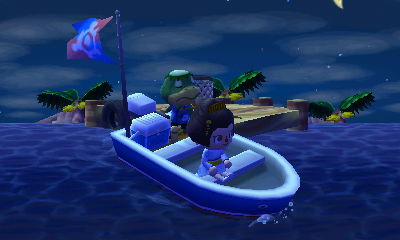 I love animal crossing it was soo fun.. Um does anyone know if they added more fossils/paintings/bugs/fish? Day one buy when it comes out! 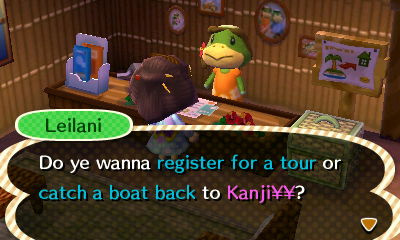 So the new name is Animal Crossing: New Leaf. Awesome. @Bass_X0 and everyone else who won't play this game unless it's newer than the last ones: http://www.youtube.com/user/WiiFolderJosh Just look at all his AC videos. Man oh man am I excited for this game. 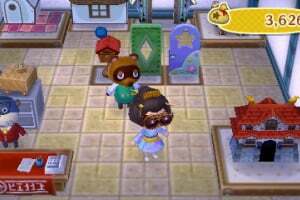 new things shown on the website are statues in the museum, some new villagers, the return of the lost and found, and TONS of screenshots, GIFs and a few videos. Also included is a FAQ that answers the question, "How many people can live in a village? ", and a link to the Japanese twitter page with even more screenshots. It helps if you view the website in Google Chrome because it can translate the webpage for you. You're welcome. 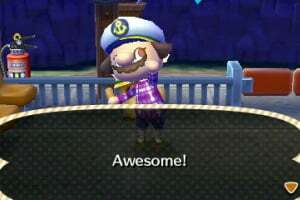 When I heard there was coming a new Animal Crossing title, I was like WAUW!! I'm a big follower of the series, and I will be sure to pick this one up on day one! Can't wait! I've already been waiting so long for this... come out, nowww!! @Bass_X0 Dude, now all the action takes place at the top screen; meanwhile you can equip stuff and all that o the touch screen. One of the best parts is when you can design all your clothes, including pants! cool, huh? 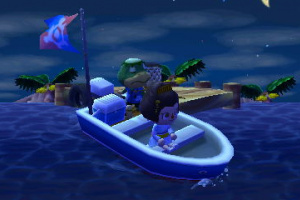 I want to see Animal Crossing on the Wii U that would be perfect. Anyone agree? Also I will pick this up when it hits NA looks epic. @ChaeHusky I agree this is getting ridiculous. 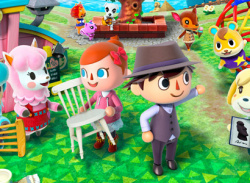 I have never played a previous Animal Crossing game and i gotta say that this game looks very intriguing. 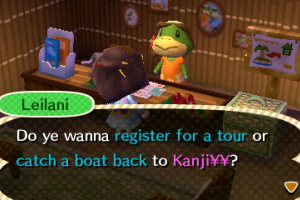 Animal crossing on GC somehow entertained me when I bought it in 2010, so a 3DS version, I CAN'T WAIT!! I went on my DS when i first heard of this.........its two years later and i no longer do........this is not funny!!!!! This version has so much more to do!! I can't wait for it to come out! Decorate your town, swim, be the mayor, and you can even change your pants AND shoes this time. Trust me; they are making this one awesome!! What is the point of this...? I can't wait till they release this in America!! This game is so going to be worth the wait I hope! Right now, their story is "We will release this game in 1st quarter 2013". I wish they announced this at the beginning of 2012 instead of 2010 I feel like I've been waiting forever..... Oh we'll it's almost upon us in America, it'll be worth the wait! @Umbreon It works for the 3DS as well, lol. The graphics look really nice. I like the lighting effect on the characters. 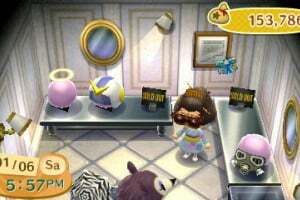 I heard that a lot of customization features will be added to this installment, which is great for me, since I'm an Animal Crossing control freak. I will pick this one up day one. This is killing me! I can't wait!!! I'm not going to have a lot of money left with all these awesome games coming out. I can't wait to get Animal Crossing. 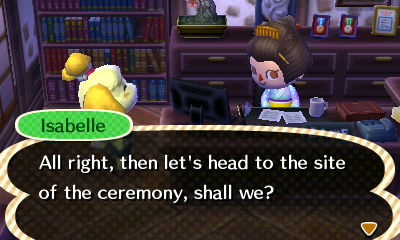 I don't want to miss out on swimming and being a mayor!! lets exchange friend codes when it comes out! up for playing acww right now anyone? i am mad that it is may 1. been waiting forever! 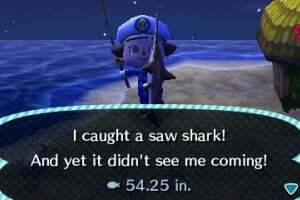 Haven't played Animal Crossing since the Gamecube. Very excited about this game. It will be nice to catch up. Nintendo, why do you have such great games? and great consoles to play them on. Might be worth my time and money. Maybe it will come out later this month or in March. Seems like it could. I just wish the damn game would come out already! Looking forward to this game, more then most of them. This, FF ARR, PSO2... So many 'TBA' games. @clairelise Since when is it coming out on May the 1st...? I'm the manager of a Le Superclub Vidéotron (Québec) and the manager of the Microplay department showed me the buy sheets and the release date is June 30th 2013 so don't get your hopes up for May 1rst guys. Sorry everyone!! LinandKo said that May 1st is just a place holder!! Sorry for posting that! It will be sometime around then though! 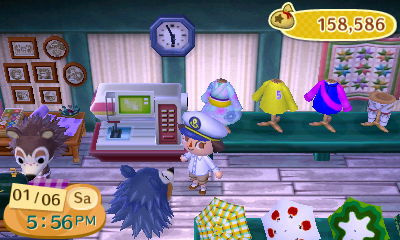 Watch LinandKo's animal crossing new leaf videos on Youtube! They're awesome!!! Well, it's not speculation, It's release date on our list is June 30th 2013. It's on a Sunday, wich most of top-ends Nintendo softwares usually goes on the market instead of the regular Tuesday. @Heresy19 I'm surprised that a "manager" would say that. The game is expected to release in the US/Europe in Q2. The company "you work for" put June 30th because June 30th is the LAST day of Q2. Most companies do that so if the game is released earlier than expected, they don't get criticized for it. It will most definitely be released earlier than that. 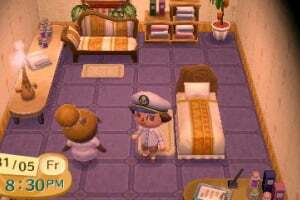 Can somebody explain to me what Animal Crossing is like? I've never played any of the games and it sounds like a lot of people like it. So what do you actually do? I preordered this when I preordered the 3ds... It was supposed to be a launch title. Just like Duke Nukem Forever, only time will tell if they've been actually doing any work on it. By now they should have a full scale MMO with a complex storyline, spaceships, an ecosystem that gets impacted by your every decision, and a way to build a business/empire. Oh, and bring back in-game games like the first one had. Only time will tell if my expectations will be fulfilled. I'll hold my breath. Like I said in my previous comment, I'm the manager of the Superclub Vidéotron and it's the manager of the Microplay department that showed/told me the infos. So YES I'm a manager, I don't know why you're being such a douche with apostrophes but please just stop. Couldn't get into series previously. I may give it another try on the stellar 3DS. I'm Japanese. I'm playing this game already. If the reply to me, thank you in more simple English.I can not speak English well. @Rusalii hey I got a question did they add more bugs, fish, paintings, and fossils you can collect? This is the only reason I bought a 3DS! 33 more days until I can go out and buy it! Animal Crossing Fanatic right here! I also bought a 3ds for this game... I can't wait to play it. 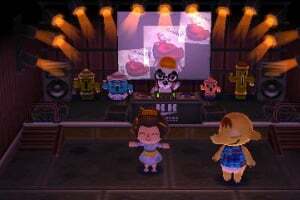 I love animal crossing. I can't wait to play it. damn you americans, getting it a week before us!! I'm reading the old comments from like last year and beyond on this page, and I've got to say. I feel really bad for the people who were anticipating this game's release long ago, I mean, there were numerous rumored and placeholder dates that people clung to, only to be shot down. Don't get me wrong, I've been waiting since 2010 like some, but I've basically ignored it(purposefully) until like last fall so I didn't get too hyped up too quickly only to have to wait for an unknown future release date. Some people must have had a torturous 3 years wait. Now, with 11 days to go, I'm SUPER DUPER EXCITED! Other 2 weeks for Europe!!! AAAAARGH!!! 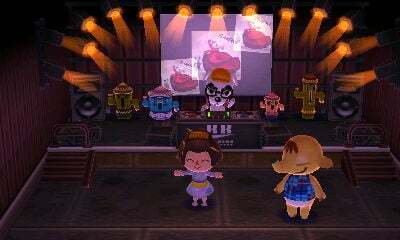 Hope Animal crossing new leaf comes out on Wii U... Has anyone heard anything? What is your fc mine is: 4940-5458-4521... and im srry. Cant wait for this just one more DAY.... In my opinion Friday is already done. Six days to go.. excitement is reaching maximum! Almost here...after THREE BLOODY years NIntendo!!!!!!!!!!!!!! Awesome game, cannot put it down! 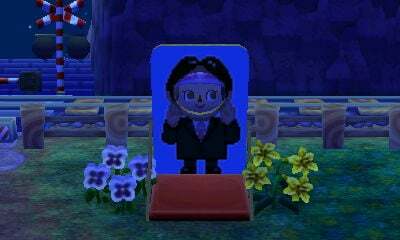 Got 4 bee stings on the first day of being mayor lol anyones fc for animal crossing? how do you swim in the ocean? @keiselle21 Your profile picture is so cute. Is that your kitten? If anyone has animal crossing new leaf add me because I can help u around your town. FC- 4940-5458-4521. If you also join u get an additional 10,000 bells. 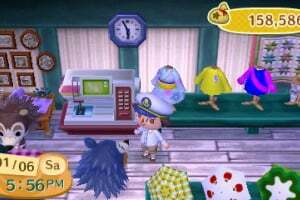 To get a swim-suit u must wait till Mr.kappn green guy comes to he dock and I think he will give it to you or just go build a gift shop from isabelle and wait one day. Pre-ordered it and traded in a couple DS games and got this bad boy for free. >Who's going to read this all the way down here? Maybe the next person to comment. So looking forward to get this on friday!! I really can't wait to make the city pretty ! @nightfury123 nah it's not, she used to be like this but she is grumpy but still cute! Can't wait to get this.....hav started writing out my strategy guide now!!!! Getting the awesome 3ds xl on Friday and I'm excited!!!!! Friend code is 1907-8491-7505. Add me and we'll visit towns. So excited......I only hav to sit through a maths gcse tomorrow and then I get my custom 3ds xl with game. YAY!!!!! Got it But I am super confused! @SqueedilyPlays Thanks! I know this sounds cliche and it gets annoying but do you wanna exchange friend codes? I think it would be more fun with friends! @PixledPeanut which code is this for? @Liamcoolrees It's already out. I just bought me one on eBay. Never played a game in this series before but totally hooked now! Plz add me Fc: 2036-7328-5987...My town just started... Let's be friend!! Thanks!!! @PixledPeanut Plz add me Fc: 2036-7328-5987...My town just started... Thanks!!! I've played animal crossing GameCube and ds. This one is a mix of all of the ones plus a bunch of more stuff! Hiya my name is Kiera and I am looking for a friend code to share mine is 214881690522 thanks. I'm getting this in about a week or so. 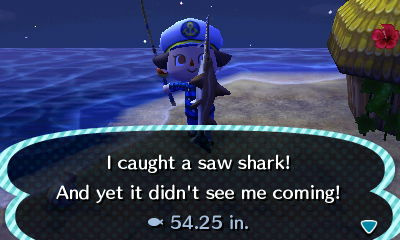 Now I know I'll begin the Animal Crossing series with New Leaf. Add me too! 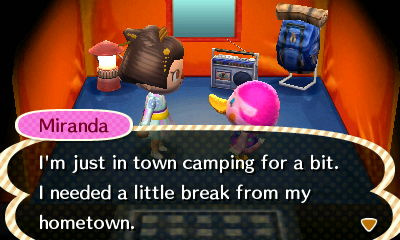 Just started a town recently too. @Alexnaru yeah no problem! always nice to have new friends! Click on my name and it'll show you my friend code! I'll add you by monday..
@Alexnaru i added you if you know anybody else with animal crossing new leaf tell them to add me too my sisters fcode is 1289-9038-5090 plz add her to lets play some animal crossing!!!!!!!!! @tdub added your sis too. I leave the gatess open today ,watch the flowers! Yea I have wifi at my house, but the problem right now is im currently at a hotel right now ill be back wednesday. Sorry about that, thought the hotel wifi would suffice. @tdub yea ill hop on. @tdub @Alexnaru it wont let me saying something about our firewalls and working together. @tdub freaking not working for some reason tried my phone too. Keep getting the same code went to nitendo support says problems with firewalls blocking important network trafficking. Know any tips? @tdub ive gotten the wet suit and dived before but cant say ive met an otter fellow. @tdub thanks I added u and ur sister ill be on Animal crossing New Leaf sometime. @T-dub whenwvwr your on again im home so i should be okay. @Thewolfnamedshe ok I'll add u tommorrow. Okay i still remember the first Animal crossing and it was really fun but that was 2008. But i want this game so bad because i keep hearing how good it is and it looks cute. This looks so good, can't wait to get it! Just got this game for x mas, anyone wanna exchange friend codes? 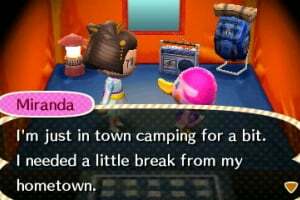 i'd love to visit some new towns! I have never played Animal Crossing. I am thinking about getting New Leaf. If you like what the game is from what you see so far, I suggest you look into getting it. Entertaining for months, or if you get really addicted, a few years at most. hey if you love playing animal crossing new leaf but need a friend to play with (like me) then plz friend me and send me your 3ds friend code. @firestorm360 @oruchimae Do you want to play??????? 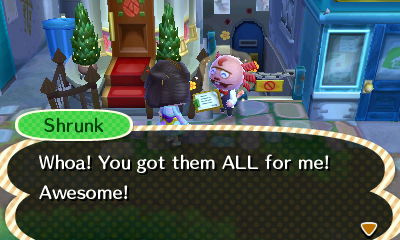 In my town (New Leaf) also my committee had to say: "Well, they're certainly giving it their all! 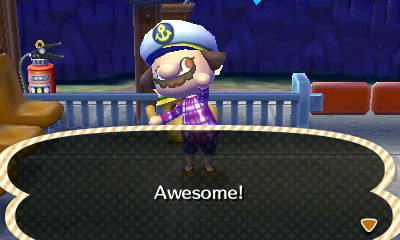 The difficult challenge is the reason town building is so worth it! 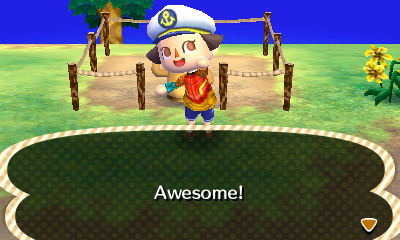 (The survey also says New Leaf has a good balance between natural areas and developed areas. However, citizens think the town still feels a bit barren overall, so additional development is desired. They'd like to see you dedicate more time and resources to public works projects.)" Ok now rate 1-20 to see if its good or bad please leave a comment below, you guys can friend me if you want friend code:3625-8785-2177, name:Jake ! 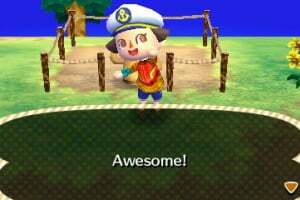 i run a animal crossing new leaf adult help page on facebook come and join we do competitions, raffles, free giveaways, yard sales friend code exchanges and lot lots more come and join must be 18 plus to join. Just got this game again and am fully "pulled into" it once more.